The 2019 Nissan Murano is one of the more popular SUV models out there, making it a wonderful choice for those who would like to have a vehicle that they can trust. The most important thing to remember is that the 2019 Nissan Murano option that is right for you is newly advanced and has a range of trims, features and specs that you simply would not find with other models. For this reason, a lot of families are finding the 2019 Nissan Murano to be a great choice when it comes to their commute and family vehicle needs. 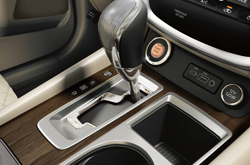 The 2019 Nissan Murano has a beautiful interior that can be customized to meet your own individual needs. You will also find that the exterior comes in a wide range of colors that help you to have an experience truly your own when utilizing this particular vehicle. 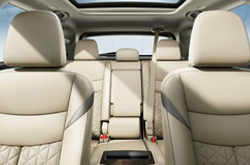 Also, the 2019 Nissan Murano seats an entire family comfortably, allowing you to have a vehicle that you can rely on at all times. This is the reason so many people have chosen the 2019 Nissan Murano for their family vehicle. With the affordable pricing and customization options, it has never been easier for you to have a vehicle that you can trust. The 2019 Nissan Murano has 260 horsepower and packs quite a punch when it comes to pick up and acceleration. 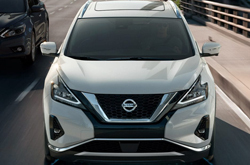 For this reason, you will also notice that the 2019 Nissan Murano gets fantastic gas mileage and is one of the more fuel-efficient SUV options on the market right now. 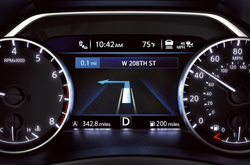 You will also find that the 2019 Nissan Murano gets good mileage at 28 MPG for highway driving and 20 MPG for city driving. No matter how you make the decision to use the 2019 Nissan Murano, you are choosing a vehicle that is going to be a great fit for the entire family. There are a lot of benefits to choosing the 2019 Nissan Murano and this is because there are lots of key features added to the vehicle to improve upon its safety. For example, many people choose to make use of the automatic braking system that engages if something comes in the way of the vehicle. Others have chosen to make use of the cameras that they can have installed that give them a clear view of everything that is going on around them right now. No matter how you choose to use the 2019 Nissan Murano, this is a safe and highly reliable car for your entire family. The 2019 Nissan Murano is a car that you can trust and one that is going to offer the space and accommodation that you need right now. Because there are a lot of different features available with the 2019 Nissan Murano, it is effortless for you to see why this particular option is one of the best out there. You can come in for a test drive of the 2019 Nissan Murano and see why so many are choosing this particular vehicle over many others. The high-end specs and features make this vehicle a wonderful option for individuals and families alike. You will also find that the 2019 Nissan Murano version of the Murano offers a wide range of features that you simply would not be able to find with anything else out there. Be sure to try out the 2019 Nissan Murano to see if it is the right fit for you.